We deep-clean buggies, prams, strollers, car chairs and other children's equipment to keep them germ free and looking great! At our South Manchester workshop, we use a combination of cleaning methods to achieve an amazingly thorough valet and then disinfect to help keep kids happy and healthy. 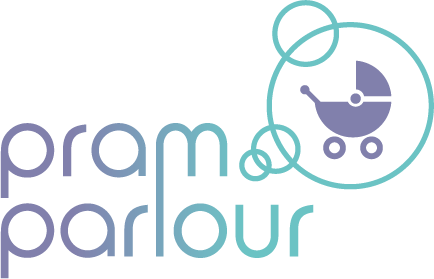 Pram Parlour is the ideal service when it's time to buy or sell or swap stuff, too! We offer careful shipping throughout the UK using our tracked and insured courier. Email info@thepramparlour.com or call 0161 327 0073 to enquire or book! Our deep-cleaning process removes dirt, food, and stains as well as disinfecting and deodorising, dramatically reducing bacteria, dust and other allergens. Safe for kids and ideal when it comes to selling or swapping equipment! This isn’t just “a quick clean” – We use a combination of washing, steam cleaning and good old-fashioned scrubbing to make things sparkle. We only use non-toxic, child-safe soap, or none at all if you prefer. We collect, inspect, clean and maintain equipment too – tightening, fixing, lubricating, and replacing parts as required. All service work is carried out in accordance with equipment manufacturers’ recommendations. Click to check out our prices and book today! We can collect from you, carry out the work at our Manchester workshop, and return everything packaged up a few days later. Check out our prices here and get in touch to discuss collection & delivery options. Call 0161 327 0073 for more info and offers! Nothing matters more to you than your child's well-being, so it's important you can trust that the people who are helping to take care of their health & happiness know exactly what they're doing. We use manufacturer-approved cleaning processes and non-toxic soaps. Routine maintenance is only carried out with your approval using original parts where possible. - We're Mums and Dads and We don't take shortcuts where kids are concerned! Just some of the parents who love our service! I brought my daughter's car seat in to be cleaned and was like brand new when I picked it up!